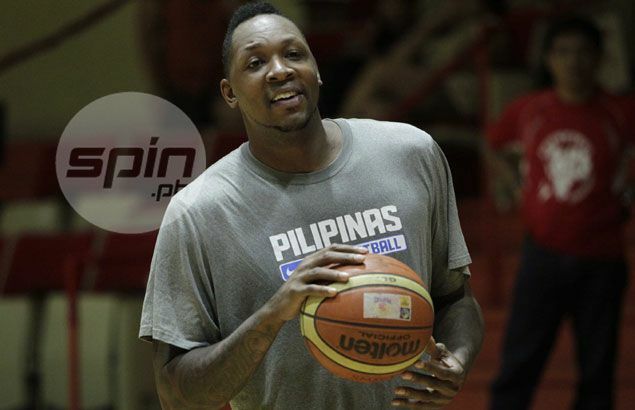 MARCUS Douthit has returned to the country to represent the Philippines in international basketball once again, but this time the naturalized player will be playing not for Gilas Pilipinas but for Mighty Sports. Mighty team manager Jean Alabanza confirmed Douthit has been signed by Mighty Sports to play for the club in the Merlion Cup this month in Singapore, where the club is eyeing another title after capturing the Jones Cup last month. Alabanza said the 6-foot-11 Douthit arrived on Tuesday to join the team’s preparation for the Merlion Cup set from September 21 to 25 at the OCBC Arena in Singapore. “His size and experience will definitely increase our chances of success in the tournament,” Alabanza said. Douthit last played for the Philippines in 2015 when he was the naturalized player joined the Gilas cadets squad in their gold-medal run in the Southeast Asian Games also held in Singapore. The former Los Angeles Lakers draft pick later gave way to fellow naturalized player Andray Blatche in both the 2015 Fiba Asia Championship in Changsha, China and the Olyrmpic qualifiers in Manila last July. He was naturally happy to be back in his second home, tweeting he 'feels great to (be) back home' upon his arrival on Tuesday. Being a naturalized Filipino, Douthit is eligible to play as a local instead of as an import in the inter-club competition that has confirmation from some of the top teams in Asia. Mighty Sports is bracketed with Seoul Samsung Thunders of the Korean Basketball League and Asean Basketball League reigning champion Westports Malaysia Dragons. The other group has teams such as the Chinese Basketball Association (CBA) team Shanghai Sharks, owned by former NBA star Yao Ming, Singapore Slingers, and the Kinmen Kaoliang Liquior.